I'm so into Toadstools right now & loving my new creation. 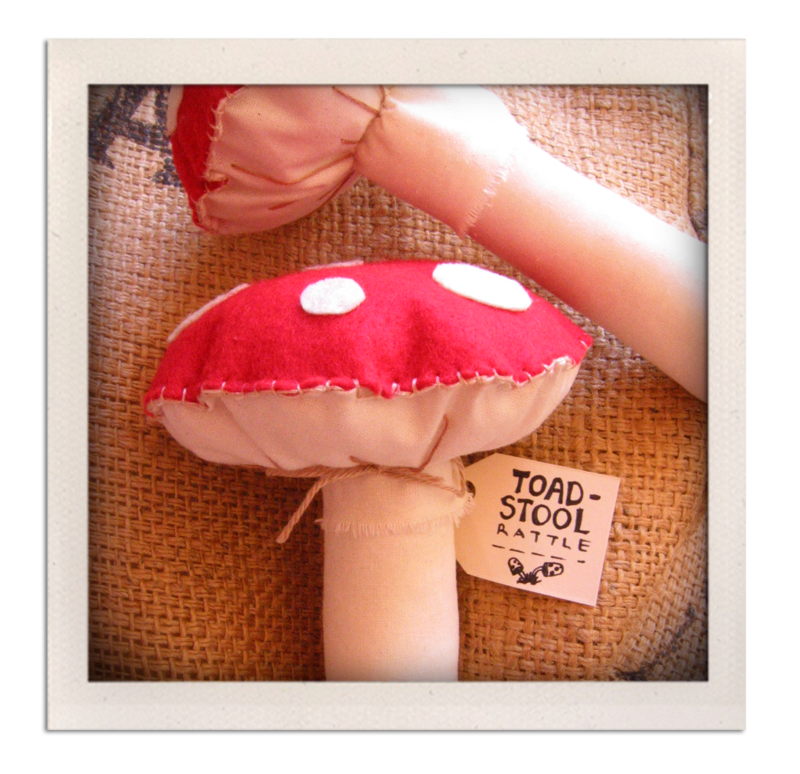 How neat are these little handmade Toadstools. Down at the Twospoonfulsofsugar farm, I've been playing with a few of these guys. I don't have a sewing machine though so its a long procedure “handsewing each stitch" - "I am on the look out for a cheap sewing machine, so I can experiment a bit "faster" though. So...a few of my lovely friends are about to be mummies or are going to be “newbie mummies” and I wanted to give them something special that I have handmade but also relates to babies of course and me and cuteness and smiles. 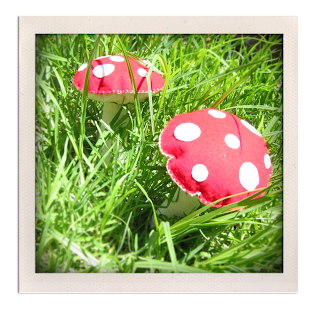 So the idea popped into my head... a Toadstool Rattle would be a very cute idea. Here are a couple of my finished pieces. 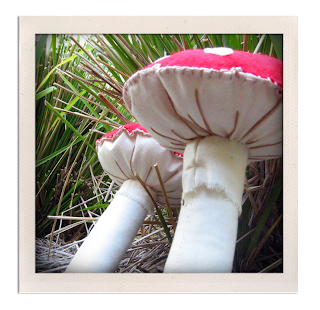 They have little bells inside so they go ding, ding, rattle, rattle when they are shaken... 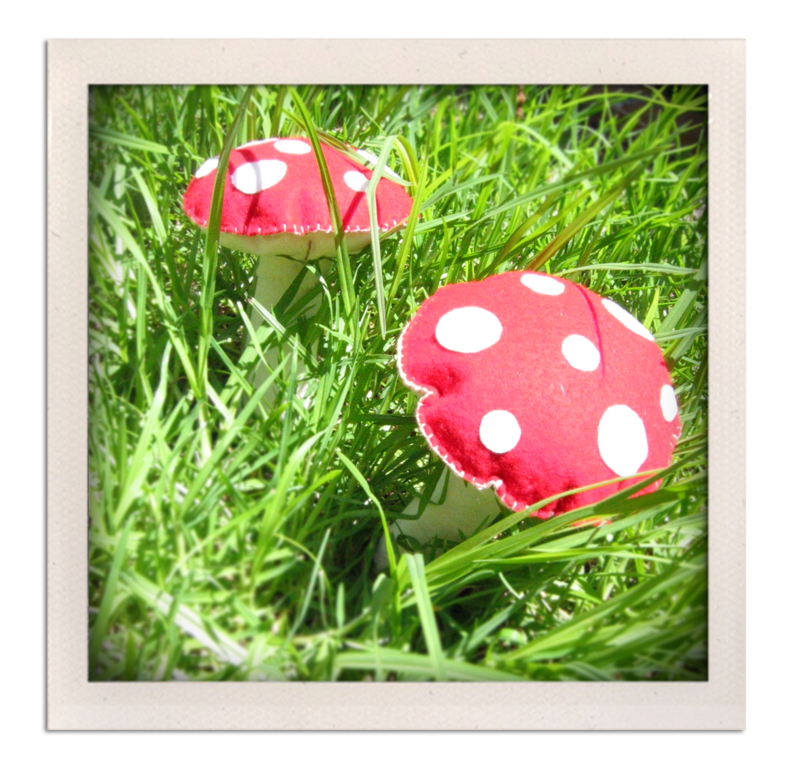 I could'nt resist poking them in the garden this afternoon for a quick little photoshoot to share with you all to enjoy and inspire. We are so looking forward to this Saturday 11th December. As we have been specially invited to attend Billycart Markets "christmas market". 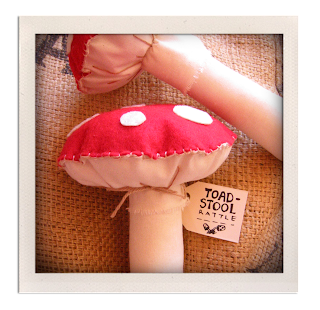 Its the "much talked about" specialised handmade for little people aged (0-12years) Markets. Located on the beautiful Northern Beaches of Sydney at Lakes Parish Hall, 21 Lagoon Street, Narrabeen. 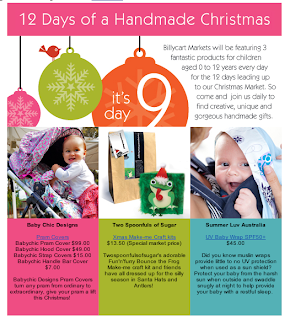 Sydney's only 100% handmade market. This is also going to be our last market before christmas so if your up Narrabeen way and/or at the markets pop by say Hi...and/or pick up some of our christmas products for a fun'n'furry crafty christmas for the kiddies! 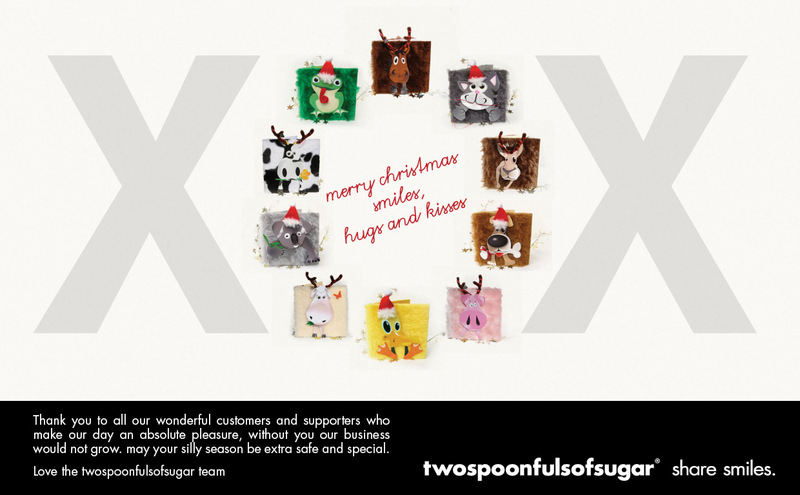 As well as having a stand there, I can't wait to get all my christmas shopping done for all those little kiddly -winks in my life too, I think they are going to be extra spoilt to pieces this year. our aim is to share smiles and inspirations with you all, hear about what makes your biggest grins come out and shine and fill you in on our news and lastest goodies at twospoonfulsofsugar. dumbo feather. pass it on.